After our honeymoon, we could NOT stop talking about Iceland. Looking back at pictures, talking about that delicious reindeer dish we had in Egilsstaðir, and talking about the highlights of the trip. Other than seeing the Northern Lights (obviouslyyy, #1 lifetime bucket list item!) the one place we both decided as our favorite was Jökulsárlón glacier lagoon. When we were planning our honeymoon, we had a hard time narrowing down our list of things to do. However, from pictures I had seen, I knew that Jökulsárlón was a must see. Especially because the icebergs breaking off into the lagoon come from Vatnajokull, the largest glacier in Europe. This glacier is an amazing sight to see in itself! I will admit, we got very lucky with the weather on the day we visited the lagoon. In true Iceland form, it was cold and really windy BUT there were like three clouds in the sky and the sunshine was beautiful so I was in heaven. The first thing we did was walk down to the ocean across from the lagoon, known as the crystal beach. As the icebergs break off the main glacier, they float around in the lagoon and eventually down the river and out to sea. Some of the pieces stay ashore on the beach. The contrast of the black sand with the ice pieces makes for amazing photos! With the sun blasting through the pieces of ice, the ice chunks were super bright and lit up – it was amazing! After spending plenty of time on the beach and hundreds of photos later, we headed back towards the lagoon for our scheduled tour. Ice Lagoon offers two options for tours – Amphibian Tour and Zodiac Tour. The Amphibian boat fits more people and is slightly less expensive. The Zodiac tour is with a smaller boat that is able to get closer to the icebergs and even goes right up to the glacier – definitely worth the upgrade! The tour was very informative, and I would recommend it if you’ve never taken a guided tour about glaciers.Tours operate from April-October and depart at scheduled times throughout the day. You even get to eat a piece of the glacier – that’s a 1,000 year old piece of ice! But THIS. PLACE. Words definitely can’t describe it, and a picture looks pretty, but it still doesn’t even capture it’s magnificence. There’s a reason we put it on a 40″ canvas above our couch as soon as we got home! So really, do yourself a huge kodak moment favor and make sure your Iceland itinerary includes Jökulsárlón. Just remember that Iceland will never disappoint you for driving a little further! -The best time of the year to see the full beauty of the lagoon is May-October. After that, less pieces are breaking off the glacier, so there are less icebergs in the lagoon. -The best time of the year to see the full beauty of the crystal beach is November-March. This is when more of the icebergs will stay washed up on the beach. Question: Do you have a hard time picking a favorite when you travel somewhere? Would you ever jump into freezing cold glacier water?! HI! Me and my 2 childRen See going to reykjavik on Oktober 5-12. We have Rente a VW polo… we want to drive the golden circle and to vik. Do you tjink it is ok Not to rebt an 4×4? Hi Karo! You will be fine in a 2wd on the Golden Circle and to Vik and back to Reykjavik. Have a great time in Iceland with your kids! Since we will be doing the total ring road over 3 weeks June 2017 we definitely plan to visit Jokilsarlon. Need a suggestion on accommodations. We are spending fiirst two nights Near Selfoss – self catered, Golden circle, next two nights Vik, still looking for accommodations and then on towards Jokulsarlon. We were thinking we would stay near Hofn for two nights and double back to Jokulsarlon. We don’t want to jump beds each night. So is Hofn a good central location for two nights before we head into the East Fjords. any suggestions on location in or around Vik as well as Hofn? Höfn is a great place to stay, but an hour+ from the lagoon. There are a lot of guesthouses along that stretch, but I haven’t stayed in many myself. I always use booking.com to find places to stay! Hello Jeannie, My daughter learned today that she will have an internship in Solheimer Ecovillage June through August. So excited! We want to visit her, of course, but will only have seven days’ time to do so in late June. We will be with her for one weekend. What should we do with her? Should we book one hotel room, or move around a bit more and book more than one? Will we need reservations at that busy time of year or should we just take our chances? Thank you so much for the information! Hi Sharon! How awesome that your daughter has this opportunity! My advice is always to see as much as you can. 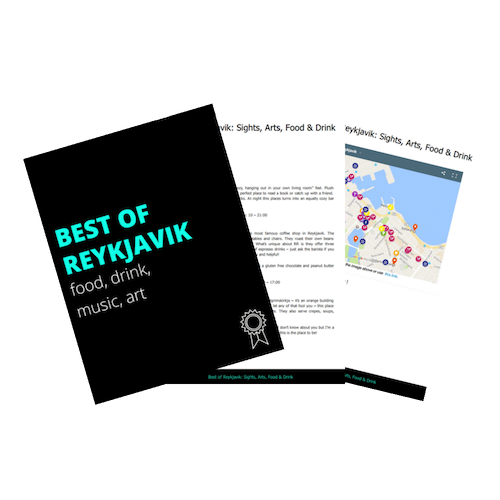 With her location, you could either head along the South coast to Jokulsarlon or do the Snaefellsnes peninsula – both are doable in a weekend. I do suggest booking a hotel room ahead of time, summer is the busiest travel time in Iceland and a lot places actually fill up! 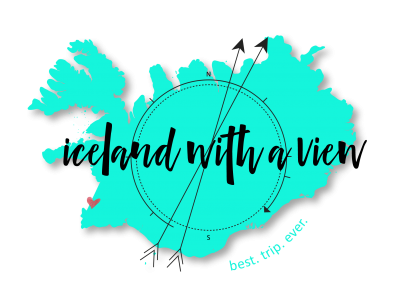 I will be in Iceland in August and foolishly already booked a room in Reykjavik for our 3 day stay. I am having doubts that I should maybe look into staying elsewhere for at least one night. Could recommend a good town close to this glacier that may be nice for a 1 night stay? Thanks!